Sarah Groarke is the managing director of sports content and marketing specialists Snack Media, a fan engagement and content marketing agency. It’s official. The 2014 World Cup has become social media’s biggest ever sporting event, with a staggering 35.6 million tweets about the game sent during the Brazil vs. Germany match alone. Sports coverage is evolving all the time and seems to move at a faster rate every year that goes by. Smart phone ownership and usage, plus the popularity of social platforms, has created a huge new playing field where anyone can have a voice. The fact that 72.4 percent of fans were actively discussing the World Cup on social networks whilst watching the games on TV is testament to this evolution. As click through rates and display become less effective, brands have been quick to identify the huge potential for engagement that creative, reactive content can have during a live sporting event. However, reactive content marketing isn’t without its risks. Exposing your brand to an audience of millions of engaged twitter users means that if the tone and execution isn’t perfectly balanced, it can have a negative and potentially damaging effect on your brand. 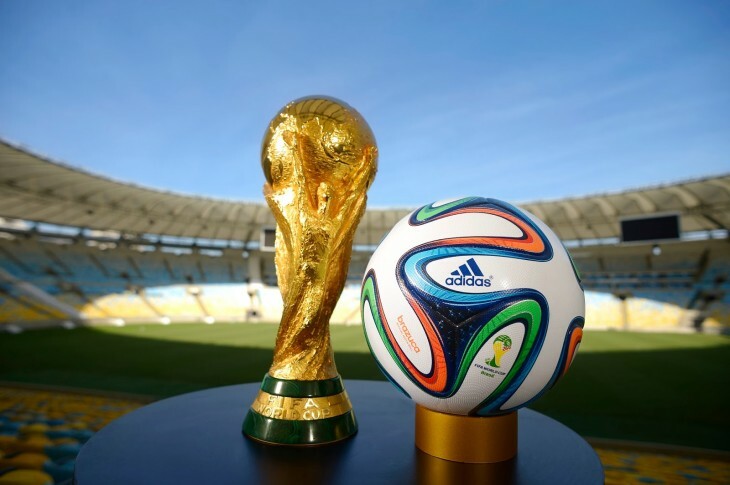 With audience engagement the name of the game, which brands and sponsors managed to effectively embrace live content as a strategy during the #WorldCup2014 and which failed? Adidas had a point to prove at this year’s tournament having been whooped by Nike at the 2010 World Cup. Its response was the #allin or nothing campaign anchored by a star studded video featuring the likes of Messi, Alves, Suárez, Özil and RVP and supported by the company’s biggest ever media spend. At the end of the video, viewers are given the option to be #allin and guided to a hub of Adidas’s social output or to be nothing and subsequently left alone. Through a vivid dichotomy, the campaign placed a bold emphasis on quality of social audience over quantity. A key element to the Adidas campaign is athlete activation, with sponsored athletes pushing out live content at key moments before crunch matches. Here are a couple of examples from Arsenal/Germany star Per Mertesacker, and Real Madrid/Brazil’s Marcelo Vieira. The campaign resulted in Adidas being the most talked-about brand on Twitter during the World Cup, with over 1.6 million tweets, retweets and replies mentioning the brand, according to Rob Hughes, Adidas’ senior global football PR manager. #allin was the most-used brand hashtag on Twitter, with 570,000 mentions since the Cup began June 12. The company’s YouTube audience has also doubled, with more than 200,000 new subscribers since play started. Not bad at all. With the debate around the long term value of sponsoring the World Cup raging on, Nike once again demonstrated how innovative marketing can deliver huge cut through. That, alongside ensuring that 10 out of the 35 teams at the World Cup were wearing its famous swoosh logo. To-date the Risk Everything campaign, built around “The Last Game” video on YouTube, has generated 6 billion impressions, with more than 2 billion of these via mobile devices. “The Last Game” video alone has generated nearly 65 million views. The ‘Ask Zlatan’ series, invites fans to ask questions to the animated version of Swedish great Zlatan Ibrahimović, who gives third-person, megalomaniacal answers. The best part – Ibrahimovic isn’t even at the World Cup. Nike report that the #AskZlatan series has received 18.4 million views and 1.3 million social engagements. Moments after Luis Suarez sank his teeth into Italy’s Giorgio Chiellini, Twitter exploded with brands looking to take advantage with some witty, reactive content. Unlike Adidas, McDonalds was one of the official sponsors which didn’t quite marry-up that real-time content/football strategy as well. McDonalds waded into this year’s brand war at the World Cup with some pretty decent firepower. It had the first ever Global Promoted Twitter Trend with #FryFutbol, appearing in 57 markets. Despite getting 17,000 mentions on the day, it was a classic case of a # not being simple and effective enough to get the brand message across. Can @McDonalds please describe what #FryFutbol is supposed to taste like: melted rubber or something gooey and inedible? KLM Royal Dutch Airline’s now infamous ‘Adios Amigos’ tweet, which the company quickly deleted, is an good example of where reactive content can have a potentially negative effect. 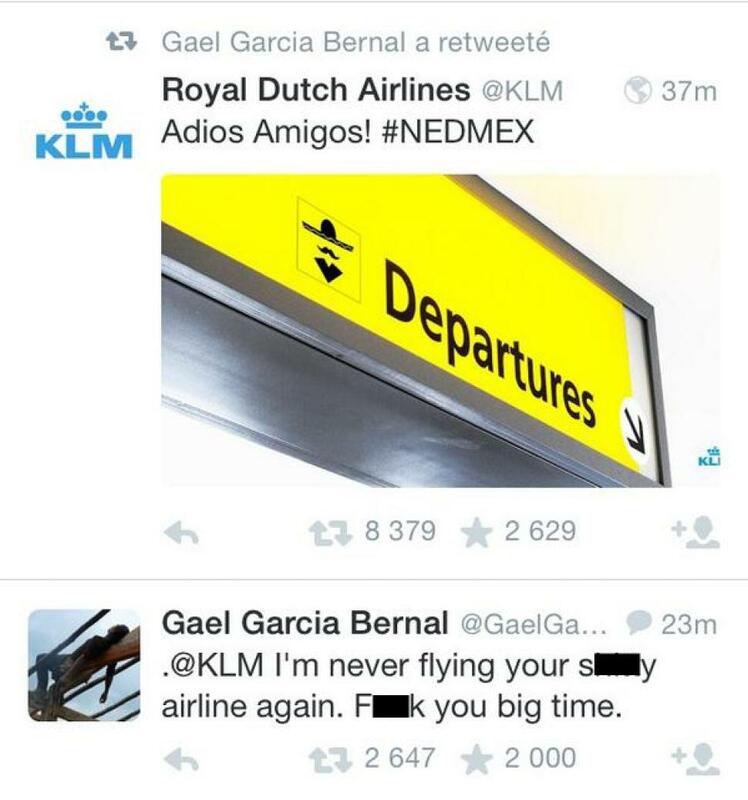 As an international brand, KLM’s use of geographic stereotyping within this tweet certainly didn’t chime with everyone and provoked a sweary rebuke from Mexican actor Gael Garcia Bernal – broadcast straight to his 1.95m followers. The fact that the airline quickly deleted the tweet was evidence that its in-house team knew it made a blunder. The quickness with which a post can be picked up and critiqued demonstrates that real-time marketing is fraught with complications. Brands have to have the strength to stand by their social posts, and perhaps KLM could have responded with a witty apology tweet rather than delete it and pretend it didn’t happen. You can see why real time marketing is a dicey game to play, as it often requires a cultural change within a business. Otherwise you can risk stifling creativity. What were some memorable brand moments for you this World Cup? Let us know below.